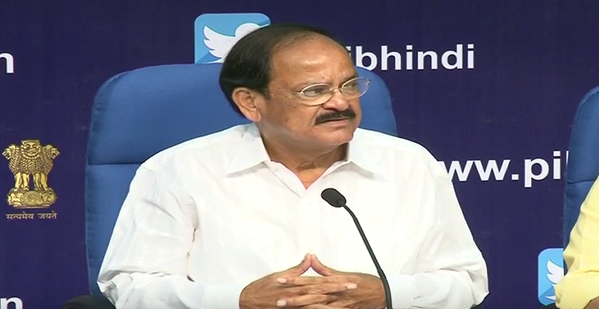 Minister of Urban Development, M. Venkaiah Naidu asked the first batch of 20 cities selected in the first round of competition to launch respective smart city projects by 25th of June this year marking the one year of launch of the Mission by Prime Minister last year. He addressed a workshop ‘India Smart City Mission: Next Steps’. Referring to the top 20 ranked cities, Shri Naidu noted that ‘lesser known Davanagere in Karnataka and Solpaur in Maharashtra scored higher than the well known New Delhi Municipal Council. Little known Kakinada in Andhra Pradesh did much better than the mighty Chennai in terms of ranks. I see no reason why Bhagalpur in Bihar, Ranchi in Jharkhand and Dehradun in Uttarakhand could not do what Belagavi in Karnataka did in coming out with a sound vision and a credible strategy to realise it and making it to the top 20”.